This project was created by a Middle School student for a school project. We are based out of Dallas, TX mainly, but we also have stores in Lubbock, TX and Midland, TX. 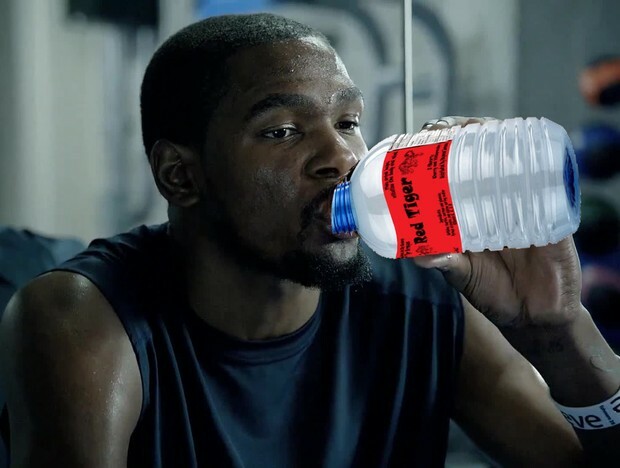 Kevin Durant, small-forward for the Oklahoma City Thunder, drinks this drink during practice and during games. This drink helps vitalize the Body and Mind. You can purchase Red Tiger in Lubbock, Midland, and Dallas, TX. We are working on making this drink available at your neighboring convenient stores. ​There is a mixture of caffeine, taurine, sucrose, glucose, B-group vitamins, and alpine spring water. There are vitamins C, A, and D in this drink too!